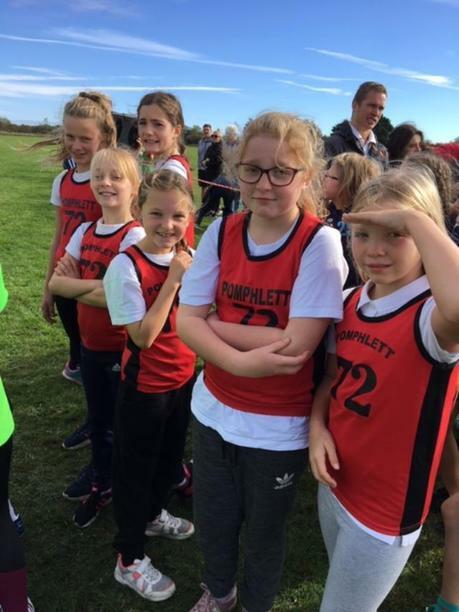 On the 18th of October 2018, 25 Pomphlett pupils took part in the Staddiscombe cross country race, which is over 1 mile long. 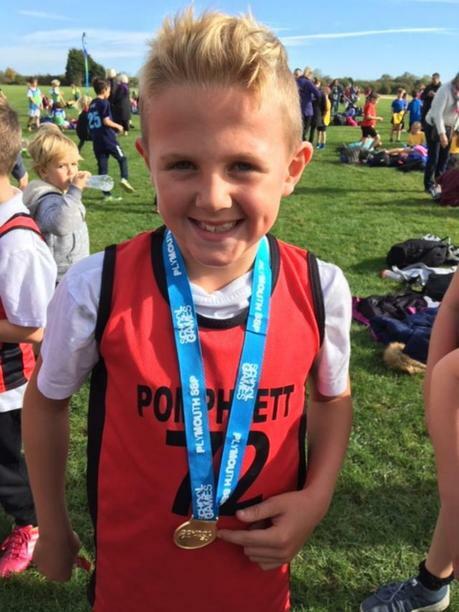 A big well done to everybody who took part in the race but especially the six children who came in the top 20, and also Charlie Wilton did especially well in the Yr 3 and 4 minor boys race and came 1st out of roughly 80 people, but not just by a little bit by at least 80 meters . 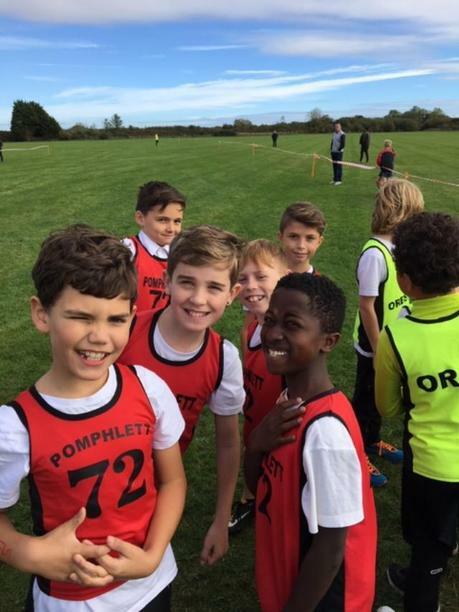 Lots of our children were nervous to race because they didn't want to slip over because it was a bit wet. The support from Mrs Jarvis and Mr Spamer was brilliant they really made me run that bit faster. At the end of the day Mr Spamer and Mrs Jarvis were proud because every body tried their hardest. 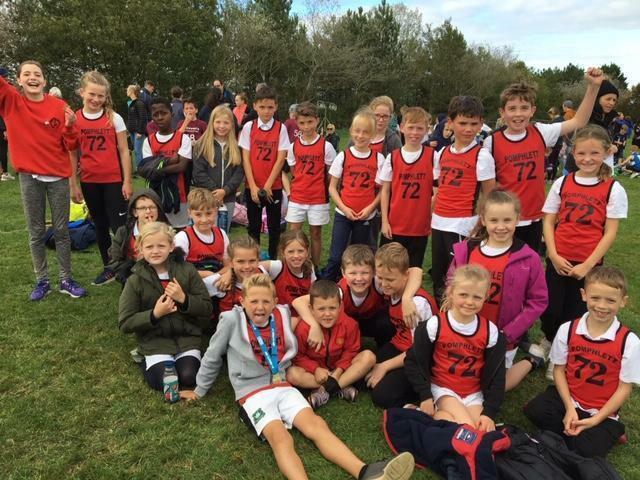 Note from Mrs Jarvis - The team spirit from our pupils during this event was outstanding! 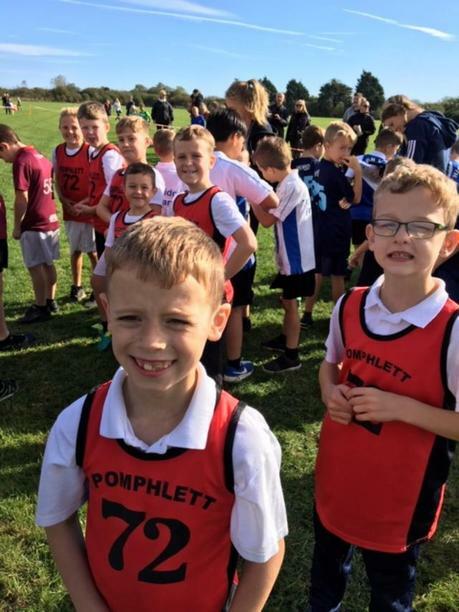 The selflessness, consideration and support of others that they showed made us incredibly proud to have them wearing our Pomphlett vests. 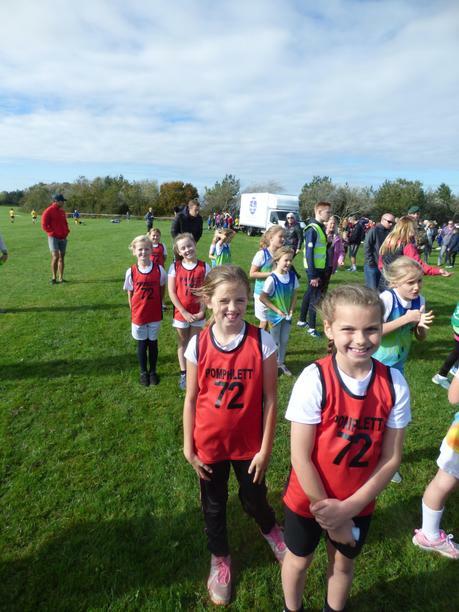 Well done to everyone involved and a huge thank you to all of the parents who provided transport, support and much needed biscuits!